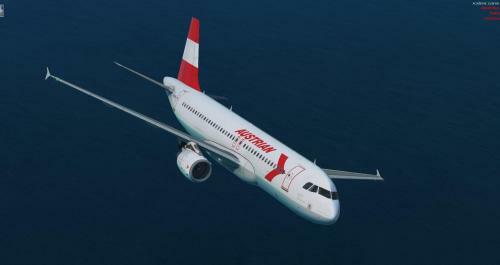 Another thing to add, with the A319 with a typical configuration of Austrian with 138 pax, 5t cargo and 12t i have in climb mode up to 5000ft/min. I think that’s a lot to high compare to the real busses. Hi Frank, yes always. CFM: 2 degrees IAE: 6 degrees To get the same pitch i have to go more than 20kts higher. I don‘t know why. But this is only at the A321 professional. The A320 or A319 in both versions have the same pitch. Hello, I noticed some differences between the A321 with IAE engines and CFM engines. E.g. : With the CFM is the approach speed 145 knots and the nose is 2 degrees up. On the A321 with IAE engines the nose is with the same approach speed, fuel, Pax and load 6 degrees up. Are there the same differences between these two engines types in real? On the YouTube videos form Lufthansa A321 they had also 2-3 degrees nose up, but not 6! Do i missed something or is the approach speed of the A321 IAE always 20ktn higher than the CFM to come down to 2 degrees nose up?